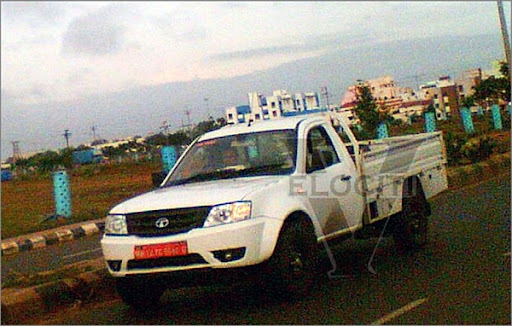 Tata Xenon CNG was caught testing in Pune. The test mules are doing rounds in Pune and were caught by Veociti Mag team. Tata showcased the Xenon CNG version at Delhi auto expo. 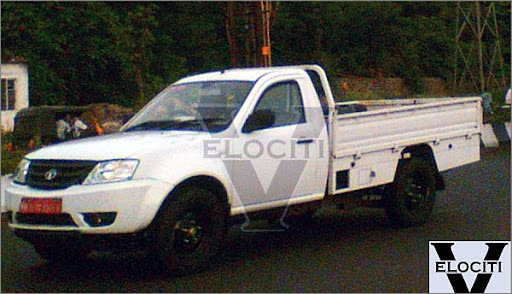 The question is why Tata is testing the single cab version in India. 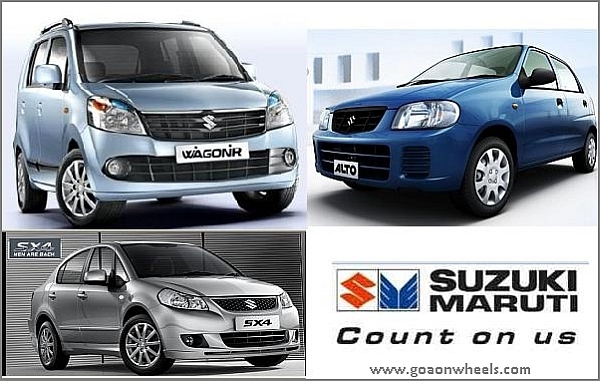 Are they planning to launch this version in India, or is it replacing the Tata 207. We at Goa on Wheels feel that it will be a good substitute in the metros where currently the diesel commercial vehicles are banned especially in Delhi. Tata has launched the Xenon as a passenger vehicle. Tata cannot sell the 207 DI in such regions and the Xenon CNG will be a good alternative. The Xenon CNG, already launched in Thailand, the world’s second largest pickup vehicle market. t is configured as a mono-fuel factory-fitted CNG vehicle, thereby offering the customer distinct advantages, over an aftermarket CNG converted vehicle, like optimal power & torque, better fuel mileage (12 km per kg), smoother ride and higher levels of safety. Its frugal fuel consumption, a payload of over 1 tonne and the largest flat bed in its class (2.5m x 1.72m) makes it an ideal vehicle for carrying varied loads while offering the customer extra savings. It is powered by a 2.1 litre Tata engine churning out 115 hp @ 5500 rpm and a maximum torque of 175 Nm @ 3750 rpm.